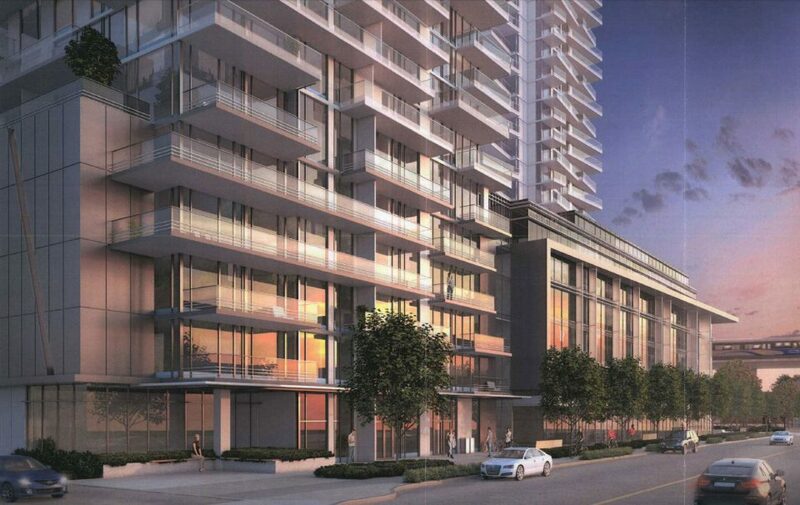 Onni Group is planning a major mixed-use development at the corner of Pinetree Way and Glen Drive in Coquitlam. 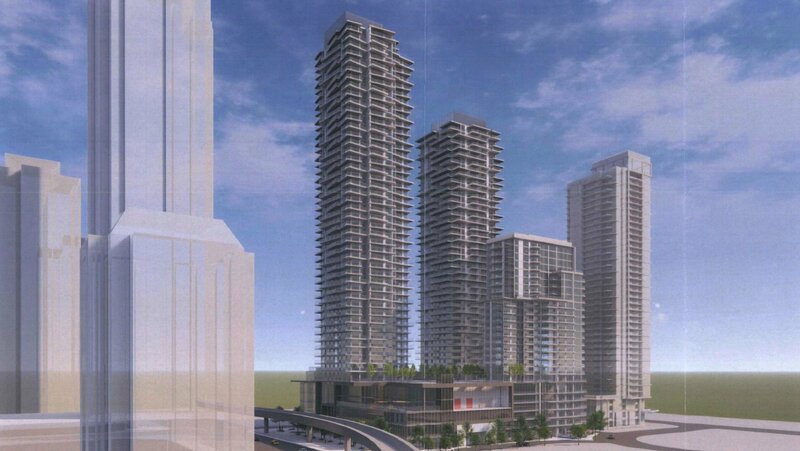 Plans call for three residential towers: 49, 45 and 29 storeys; over a 72,000 sq ft. podium with retail and office space. 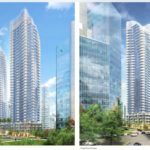 There will be a total of 891 residential units, consisting of 705 market condominiums, and 186 purpose-built rental units. 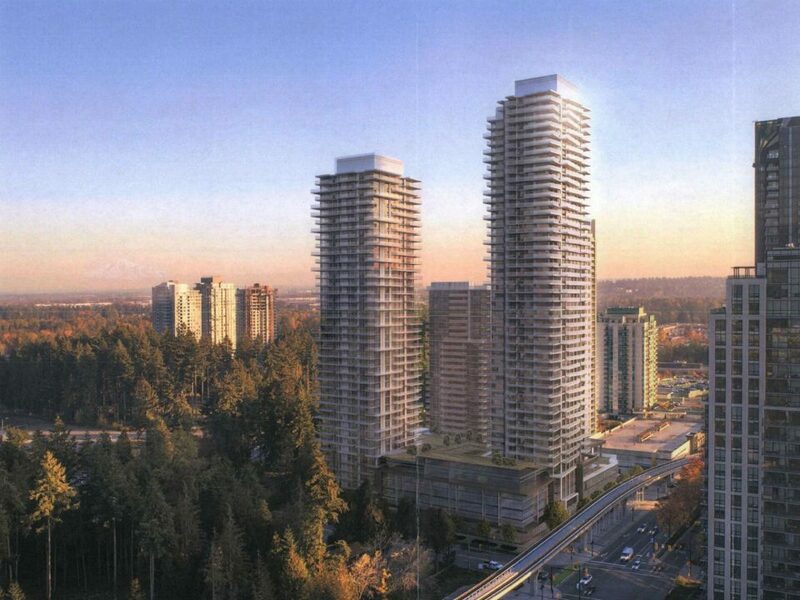 The City of Coquitlam is stipulating that the rental tower needs to be completed first. Residents will have access to a 67,000 sq ft. of amenity space including a bowling alley, outdoor pool, hot tub, fitness facility and more. 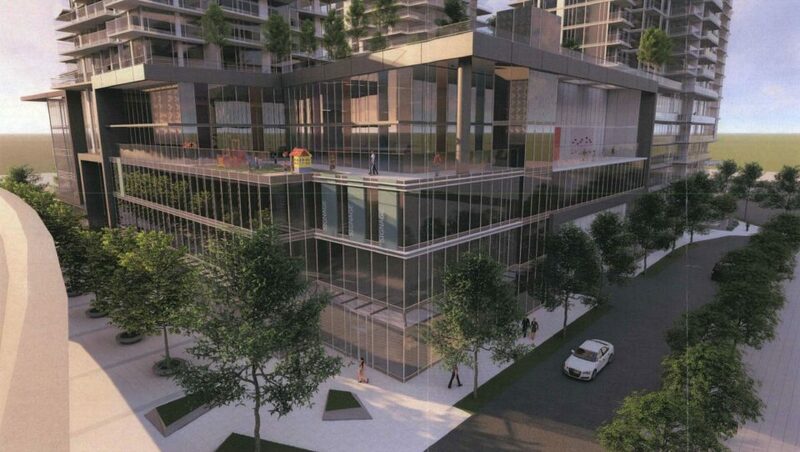 There will be a daycare facility located in the podium, as well as a public art piece valued at approximately $250,000. 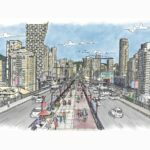 As part of the deal, the City of Coquitlam will receive a 5,000 sq. 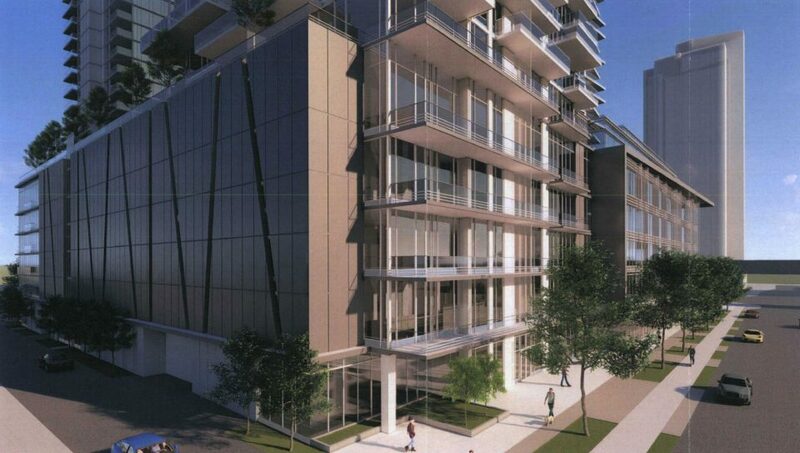 ft. office space in the development, paid for by Onni Group, as well as 12 parking spaces. 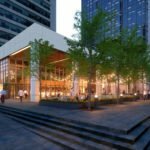 There will be a lot of parking — 1,329 spaces, as well as two car share vehicles. 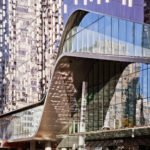 The design of the towers draws reference from stacks of books, according to the architects, Ciccozzi Architecture Inc. 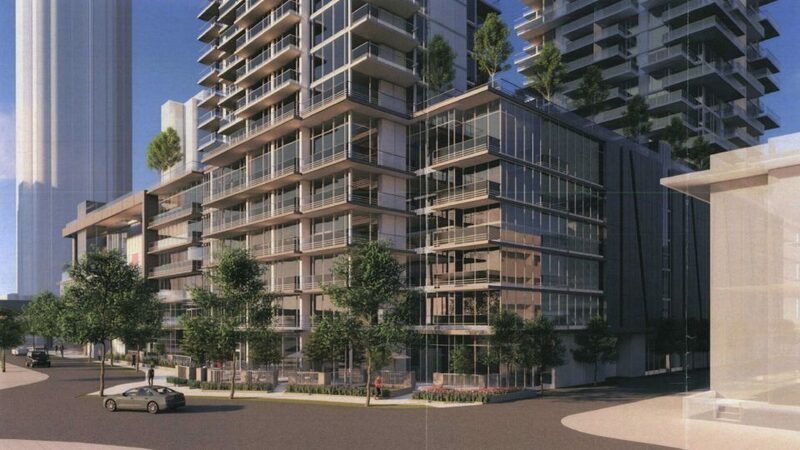 The 2.7-acre site is currently vacant, with part of the Evergreen Line SkyTrain guideway located on the site. 78 existing trees on-site will be removed, with 177 on-site replacement trees planned, mostly deciduous. 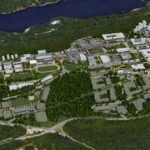 The proposed development will be built to LEED Silver equivalency, and a micro district energy system (DES) is proposed on-site. 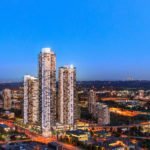 Nearby Coquitlam Centre is in the early stages of a visioning process for a redevelopment of the shopping centre with high-density residential towers, office and retail.